A complete Steelhead Spey Start Up and a lesson on how to use it on the Rogue River! With reports of 400 Summer Steelhead making it to the hatchery its time to start thinking about getting your spey game going. If you have always thought about getting into the sport, but didn't know where to start this kit is for you. 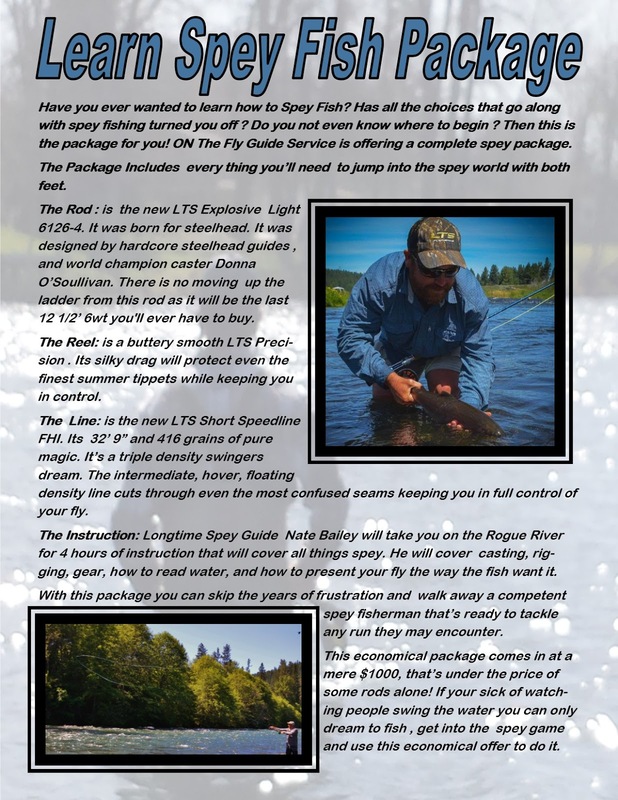 We are proud to offer a spey start up package. I love the idea of helping people getting into this great sport and now there is a way to get completely set for less money than some rods. There is a huge misconception out there about these closures. 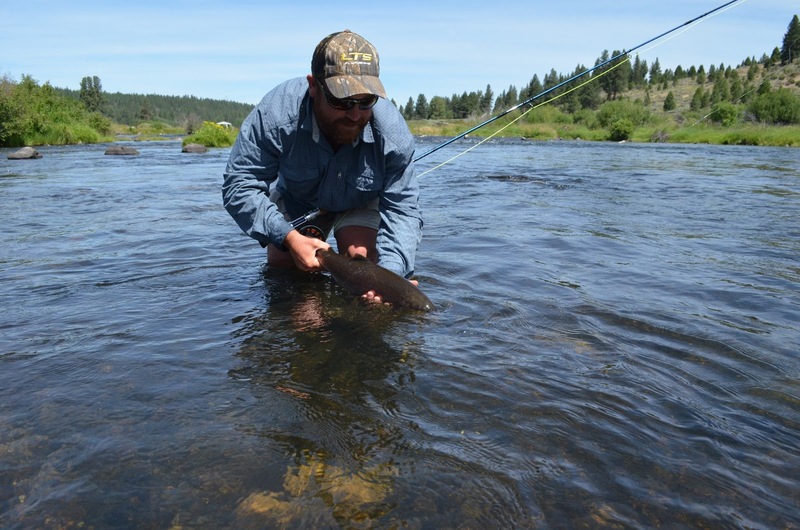 The Williamson, Wood, and Upper Rogue are, but a few of Oregon's Rivers that are not affected by the regulations, and for good reasons. First the upper section of the Rogue is kept cool by to cool flows from the Dam. I have seen the temps rise in August, so we aren't out of the woods yet, but it should start cooling at the end of August when the big push of Summers start making their way up the river. The basin trout is also not in danger, except for the Lake fish that don't find the springs. If you hook a fish that's slow and sluggish, get them in asap, keep them wet, revive it thoroughly and change spots. 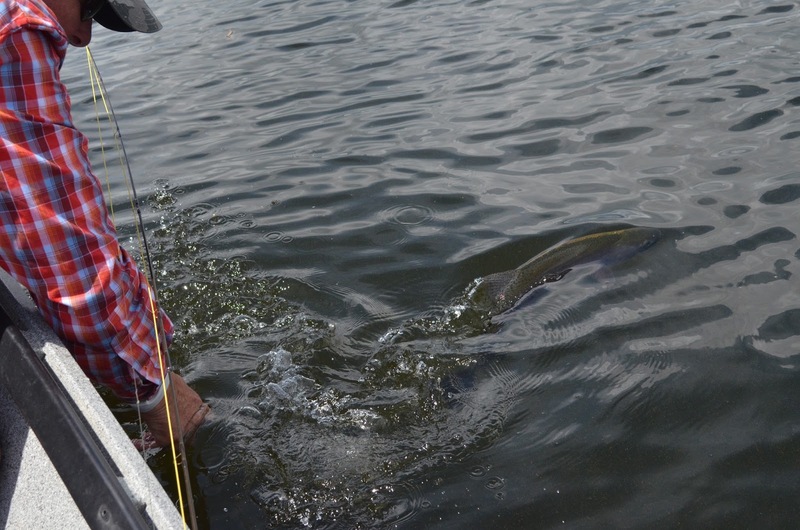 Klamath Fish are mean, they usually jump , and make several runs. if they aren't acting that way quit fishing. With that said there are plenty of springs where the fish congregate. These are places where water temps stay from the low to mid 60's. Find these places and you will find fish. The Wood, Williamson, and other Basin Spring Fed rivers are in Great shape! 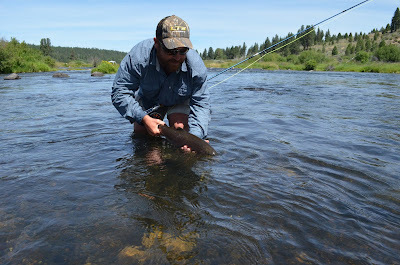 The Williamson is running 58-60 degrees in the shallow riffles below the warming waters of the Sprague and under 50's above that. Perfect water for trout. The fish we hooked yesterday all made several jumps and huge runs! Their was no signs of a stressed fish anywhere. 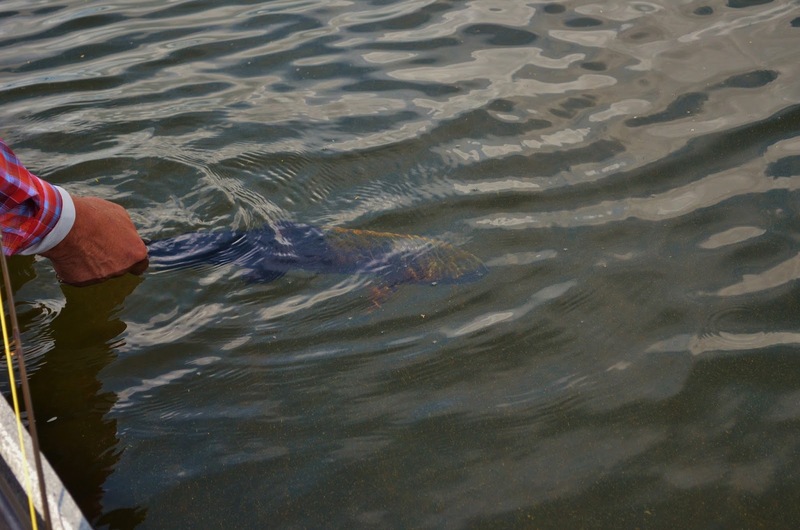 Even if the fish aren't stressed always remember that they are use to the cold temps of the water they are in, and the high air temps are hard on them, keeping the fish wet is the best bet. Lets hope we get some water this winter so the fish will have all they need, until then we need to fish where the water temps allow. Please note: Most recent updates are shown in bold red text. Blitzen River and tributaries upstream of Page Springs Weir and Bridge Creek. All SW Zone tidewater areas – tidewater is defined as ‘stream or estuary waters affected by daily ebb and flow of tides (Page 7, 2015 Oregon Sport Fishing Regulations). All Rogue River tributaries upstream of William Jess Dam/Lost Creek Reservoir. July 13th Klamath Lake Trout going back! The same Trout splashing us as he left! About 60 deg f, at 4:30 PM in a foot of water, at the water wheel campground. The Williamson will remain cool.